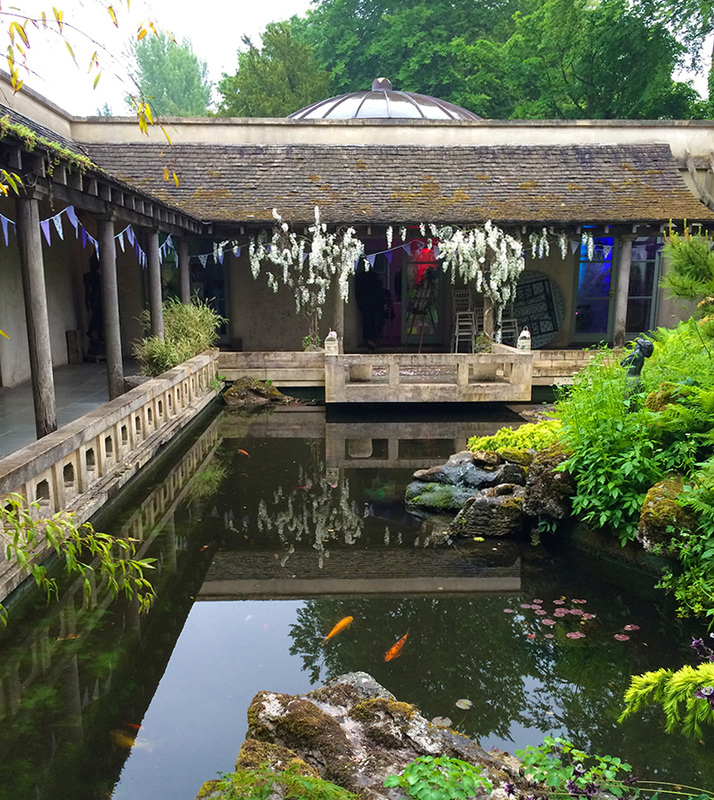 Friday, 12th June and a trip Northwards to the Matara Centre, a beautiful, unique wedding venue in the Cotswolds. I’ve seen lots of photos of ceremonies at Matara, but this is the first time I’ve actually played there – and wow, what a stunning place! I arrived just before 5pm, with music scheduled for 7pm – some entertainment as guests exited the wedding breakfast for the room turnaround, before the party later on. 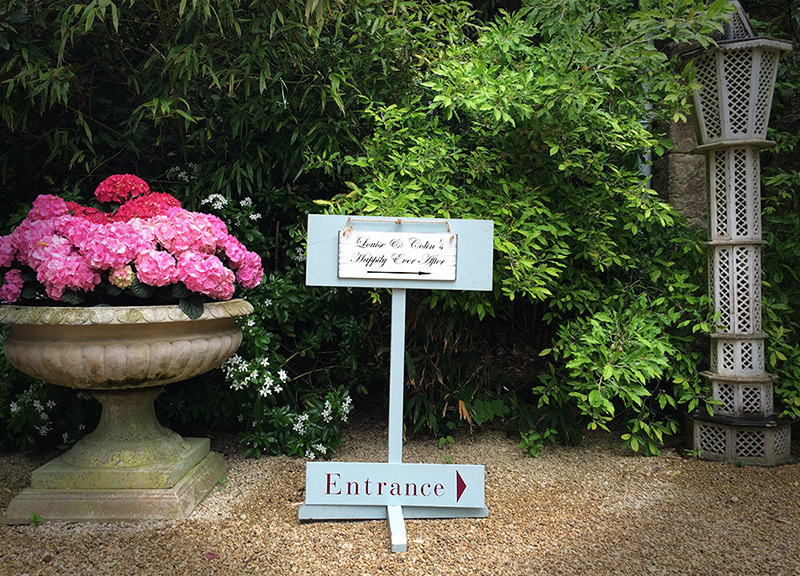 I hoped to be set up in the courtyard area, but of course – after my last blog about being a “good weather charm” – we had rain! A warm, humid day with some drizzle meant I had to set up indoors under cover, but I positioned my speakers so that everyone could hear the music. 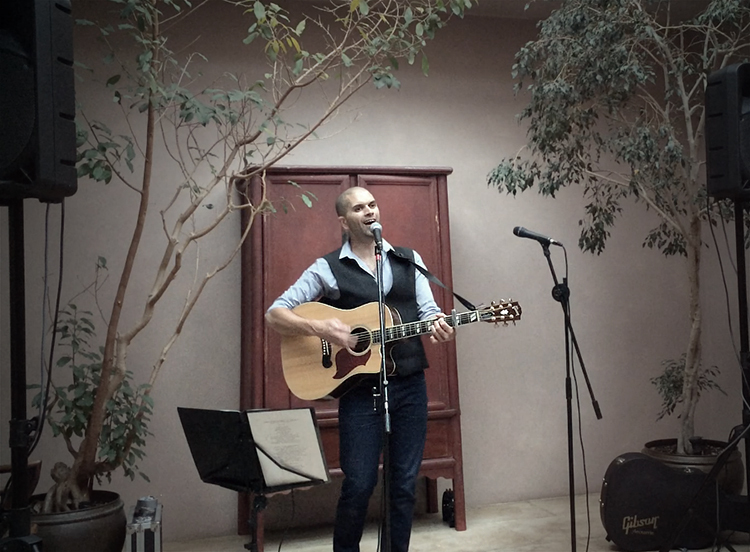 Now, I’ve played at countless weddings over my 5 or so years doing this – but Friday’s wedding was a first. As I was casually setting my gear up at about 5.30 (still wearing t-shirt and flip-flops at this point!) guests started to arrive for teas and coffees. I’m used to weddings running half an hour, maybe an hour, behind – but this wedding was running an hour and a half ahead of schedule!! This, I can promise you, is VERY rare! A lovely evening, and the music seemed to go down really well. Huge congratulations to Louise and Colin – hope you had a fantastic day, and a great evening! 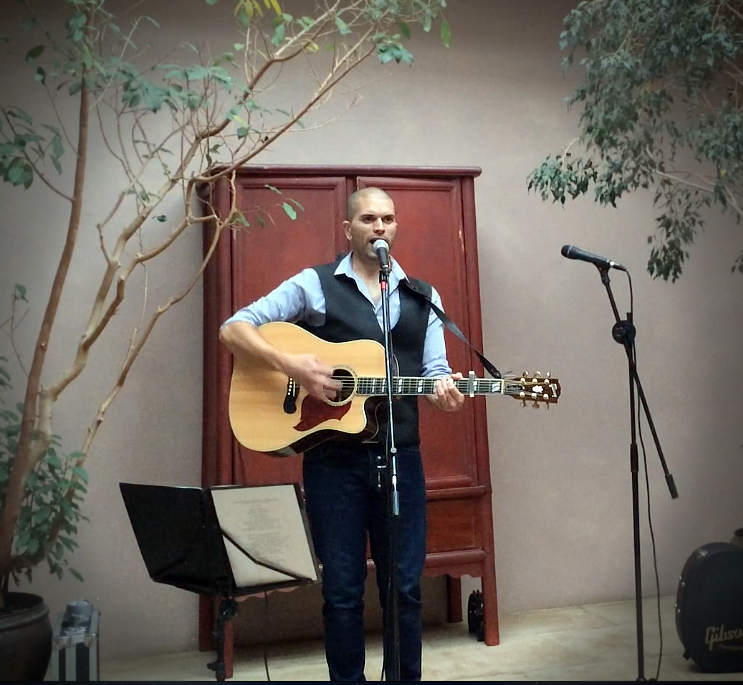 This entry was posted in News and tagged acoustic, Bristol, Cotswolds, entertainment, evening, guitar, guitarist, Kingscote, live, live music, music, musician, performance, reception, set, singer, singing, Tetbury, venue, venues, wedding, weddings by Pat McIntyre. Bookmark the permalink.